The new blue passport will be delivered under this contract and it will be the world’s first carbon neutral passport. It will include a complete redesign of the inside pages that will incorporate the latest developments in secure technologies to keep ahead of forgers and fakers. The 11.5 year contract has been awarded to Gemalto after a rigorous, fair and open competition. With a contract value of approximately £260 million this will deliver significant savings compared to the £400 million contract awarded in 2009, and provide value for money to the taxpayer. 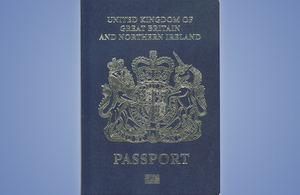 "I am delighted that we have awarded the contract to design and produce the new blue passport. "I look forward to working with Gemalto to continue to deliver a world-class service to British nationals around the world, and keep the UK passport as a global leader of document security." This passport contract will further extend Gemalto’s presence in the UK, where it has operated for the last 25 years, and will add approximately 70 jobs to its existing British workforce. They are an experienced and trusted company and work with over 40 countries around the world on their passport production. They already work with the UK government in a number of areas including the production of UK driving licenses, UK biometric residence permit cards and on e-gates at the border. HM Passport Office would like to take the opportunity to thank all the bidders for their efforts throughout the procurement process, in particular to De La Rue with whom we look forward to continuing to work closely and successfully with for the remainder of the current contract.